By Terry Dunn on Jan. 14, 2015 at 9:31 a.m.
Getting a license is easy, and maybe even a little bit fun. As much as we love to give you an inside look at all sorts of cool toys and gadgets, the job also includes a responsibility to educate you on the finer points of using those toys responsibly and lawfully. Such is the case with our recent videos featuring Carlos Puertolas (Charpu). 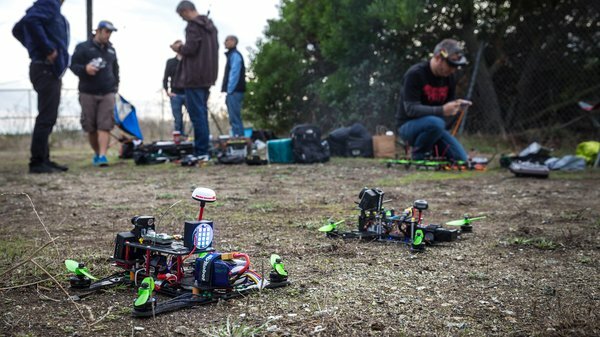 Those videos have captured the attention of many readers who are now interested in First Person View (FPV) quad-rotor racing--including me. What you might not know is that one of the prerequisites for most types of FPV flying is obtaining an amateur radio license (aka “ham radio license”) from the FCC (Federal Communications Commission). Don’t let that fact quench your FPV ambitions. Getting a license is easy, and maybe even a little bit fun. Assuming that you are using a standard, off-the-shelf radio system, just flying a multi-rotor (or operating any other type of RC vehicle) with a line-of-sight perspective does not require a FCC license. That is because RC systems sold in the US go through a certification process with the FCC. The certification ensures that the system does not create interference with other equipment. The FCC also verifies that the radio works acceptably well in the presence of interference from other sources. As long as you do not modify any part of the system, you can be reasonably sure that an RC system will perform as intended, while not stepping on the signals of any other flyers or drivers. 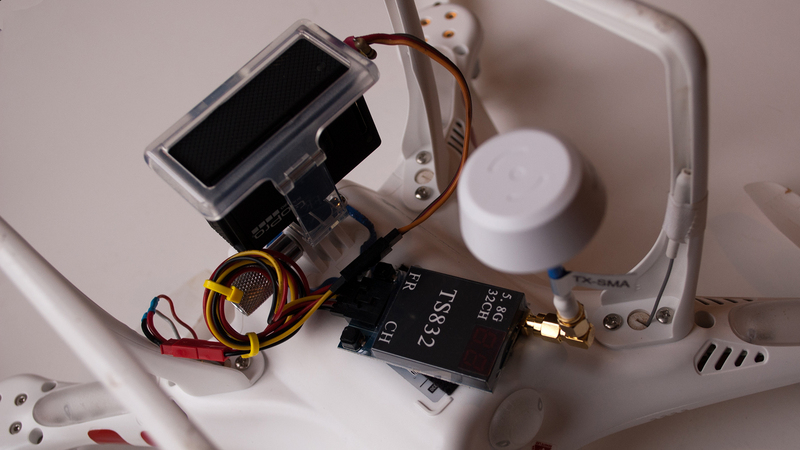 The license comes into play when you introduce an FPV system into the mix. Most video transmission systems used for FPV do NOT have a FCC certification. Therefore, the FCC places the burden of preventing and tolerating signal interference on the operator. 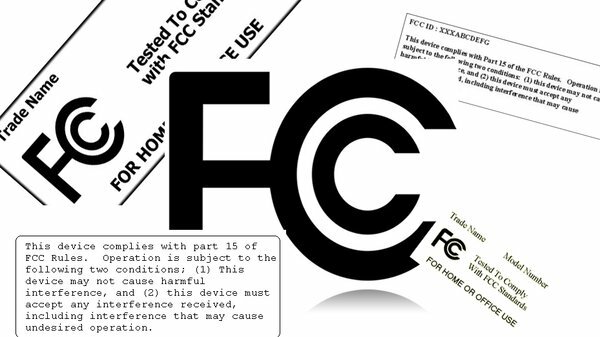 The amateur radio license is the FCC’s way of determining that users of this equipment have demonstrated adequate training and proficiency to uphold that responsibility. It’s the same logic that’s behind getting a driver’s license. EVEN THOUGH SOME FPV EQUIPMENT IS RATHER SIMPLE, AS SEEN HERE WITH THE SET-UP ON MY DJI PHANTOM, IT IS BENEFICIAL TO UNDERSTAND HOW IT WORKS TO AVOID INTERFERENCE. As I write this, there are only a handful of FPV systems that do not require a license. Most of them are Wi-Fi-based systems such as those seen on the Phantom 2 Vision+ and Blade 350QX2. Wi-Fi video systems typically have limited range and measurable latency. This may be ok if your only goal is to cruise around shooting video. But the latency alone makes Wi-Fi systems inadequate for racing. I am only aware of one non-Wi-Fi FPV system that is FCC certified and can be used without a license. The operational range for this system is estimated to be about 600’. 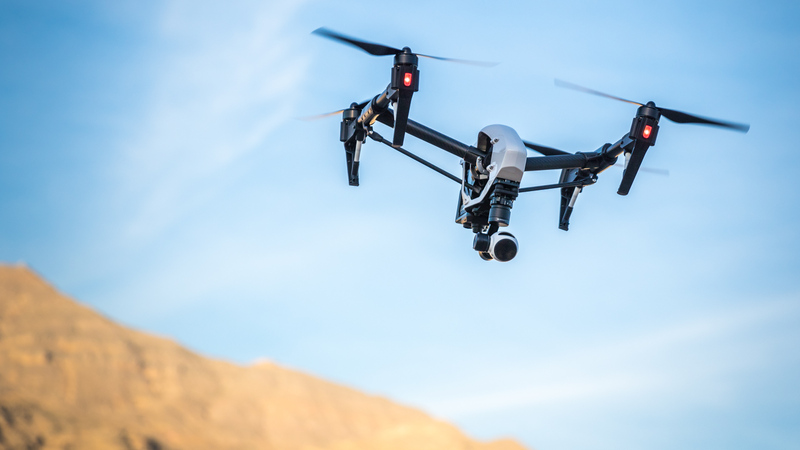 Of course, variables such as your flying altitude and any solid obstacles between the video receiver and the aircraft could impact that value. If this system meets your performance requirements, then you’re all set. 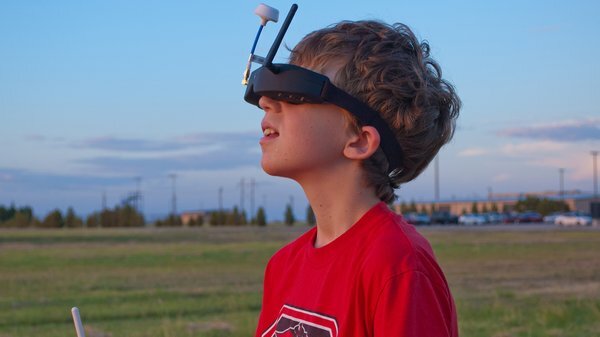 Certainly, the future holds other FPV systems with FCC certification. Until then, your license-free options are limited. Unless a video transmitter has specific markings stating that it is compliant with FCC Part 15 requirements, you will need a license to operate it legally. FPV equipment is a relatively new facet of amateur radio. 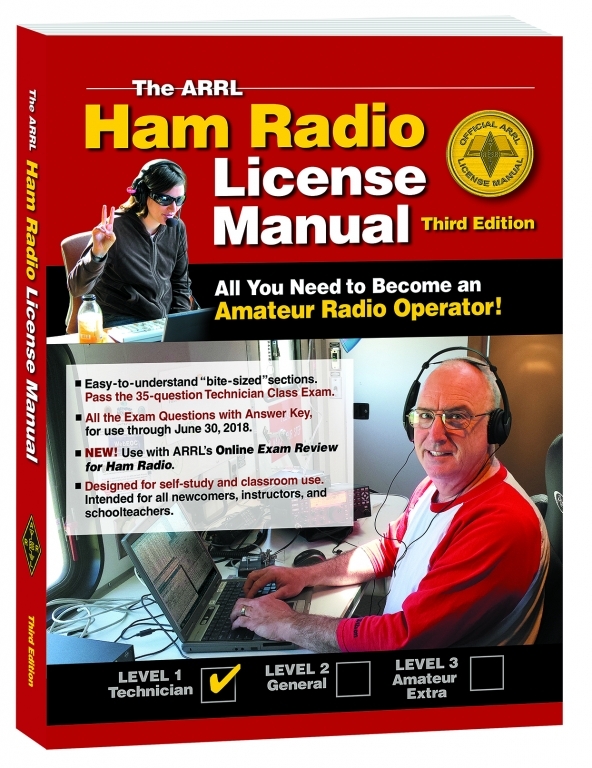 By obtaining a ham license, you will join the ranks of operators who have used the privileges of their amateur status in fun and practical applications for decades. “Hams” use their equipment for talking to other operators around the world (or even in space). Many amateur radio clubs hosts contests where participants challenge their skills with tasks like determining the location of a hidden transmitter. FPV FLYING IS A FUN SEGMENT OF RC, IT JUST COMES WITH A LITTLE ADDITIONAL OVERHEAD TO DO IT LAWFULLY. In a more practical sense, ham-band radio communication requires no infrastructure, only compatible equipment on each end of the signal. There have been times when ham operators were the only reliable means of communication during a crisis. The aftermath of Hurricane Katrina is a commonly-cited example where ham operators played a vital role. Hams will often pre-coordinate with local emergency management officials so that their efforts are aligned when the worst happens. “…the amateur radio hobby could be appealing to many in the R/C hobby because of the tinkering aspect. For some, ham radio is completely DIY. For a tinkerer, that's a siren song. Imagine a R/C hobbyist building their own transmitter for a plane and then being able to build a radio that can talk to almost anywhere in the world on shortwave frequencies. That's just neat. And for those with a competitive streak, ham radio contesting - sometimes called "radiosport" - is a lot of fun. The short answer to the question “Why do I need a FCC license for FPV?” is, it’s the law. There may be scofflaws among you who require a more compelling argument. If that’s you, consider that amateur radio offers many of the same challenges and rewards that appeal to R/C pilots. In your quest to satisfy the law, you may just find an additional hobby. How do I get a FCC License? There are three levels of amateur radio licenses: Technician, General, and Amateur Extra. You need only a technician-class license for FPV activities. While the rationale for obtaining a ham license is similar to that for a driver’s license, the experience is much different. You won’t have to worry about standing in line all day and dealing with apathetic employees. The FCC delegates the examination process to Volunteer Examiner Coordinators (VEC). Essentially, local amateur radio clubs administer the tests and submit the paperwork for licenses to the FCC. The result is that you get to deal with people who are excited and knowledgeable about amateur radio and want to help you succeed. There are three levels of amateur radio licenses: Technician, General, and Amateur Extra. You need only a technician-class license for FPV activities. The higher level licenses come with privileges for additional frequency bands and higher transmission power. For the technician license, you will have to pass a 35-question multiple choice test (26 correct is passing). There used to be a Morse code requirement as well, but that has been omitted. The license is valid for 10 years, so you won’t have to take the test often. The questions for individual tests come from a large pool of questions created by a panel of VECs every four years. While you won’t know which specific questions will be on your test until it is placed in front of you, the question pool is freely available for study through various websites and books. The current question pool was initiated in July 2014 and is valid through June 2018. The questions are quite varied, but rarely very technical. Many of the questions deal with the responsibilities and expectations of amateur operators, which will seem like common sense to a lot of us. Of the technical questions, I do not recall anything beyond what I was exposed to in high school physics. We’re talking about Ohm’s Law-level computations and basic schematics. So don’t let yourself be daunted by the possibility of complex radio theory. You won’t see that on the technician exam. 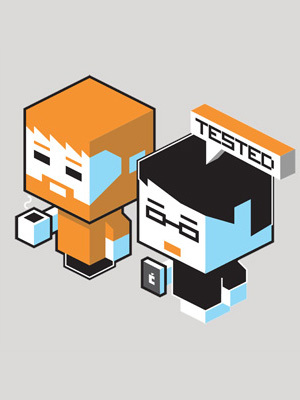 While you should not be intimidated by the licensing test, you should not downplay it either. There are enough simple, yet unintuitive questions that it would be unrealistic to expect a passing grade without devoting a little time for study. There are a lot of resources available to help you prepare. I took the test in November of 2013. I had contacted my local amateur radio club and found out that they offered testing sessions several times a month for a $15 fee (which is standard). They even have a “License in a Day” program, where you show up in the morning as a complete ham rookie and they prepare you to take the test on the same afternoon. I typically do better studying by myself, so I took a more traditional approach. 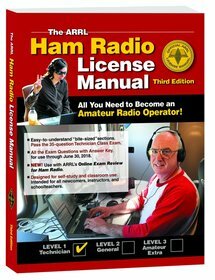 I studied the Amateur Radio Relay League (ARRL) Ham Radio License Manual for about two weeks prior to the test. More specifically, I skimmed the book one time and then began taking practice tests using the included software package. When I hit a test question that made no sense, I’d dig into the book and sort things out. I continued this process until I was consistently acing the practice tests. I estimate that I invested about eight hours of leisurely preparation time. Your mileage may vary. Go with whatever method and time commitment works for you. I took the test on a Saturday morning and had my license in hand less than two weeks later. It really was a painless process. I’m not one of those people who found FPV to be a gateway to other amateur radio interests--I’m still just an FPV guy. So I was grateful to receive only one follow-up invitation to join the ham club that administered the test, no full-court press. I may get the itch to explore my broadcasting privileges one day, but I’m content for now. I’ll admit that I stayed away from FPV flying for a couple of years because I didn’t want to deal with the hassle of getting a ham license. Of course, that opinion was based on my assumption of how difficult and painful the process would be. Once I actually took the steps to get my license, I kicked myself for having waited. More importantly, I felt like most of the lessons I learned in preparation for the test were completely valid and applicable to what I wanted to do. I figured out that obtaining your amateur radio license is not just a bureaucratic formality. It is intended to make you a well-educated and conscientious operator of powerful equipment. We all like to complain about oppressive and nonsensical government regulations. Indeed, it is our duty as American citizens to do so (no offense to our foreign readers). Yet, I think we would have a hard time arguing against the requirement for an amateur radio license to operate non-FCC-approved radio systems (FPV or otherwise). The lessons are pertinent and the process is easy. Do the right thing.